What does a highly respected pop-rocker do in the 43 years (!) between releases? That’s something we don’t find out on Emitt Rhodes’ first set of new material since the Nixon administration. What we do know is that Rhodes hasn’t lost touch with his songwriting muse or vocal talents during the extended sabbatical. The clean, clear, charmingly boyish voice belies the snow white hair and beard he now sports. But where he once played every instrument on his three previous releases over four decades ago, now a gaggle of medium profile guests assist Rhodes on his long awaited return to the studio. 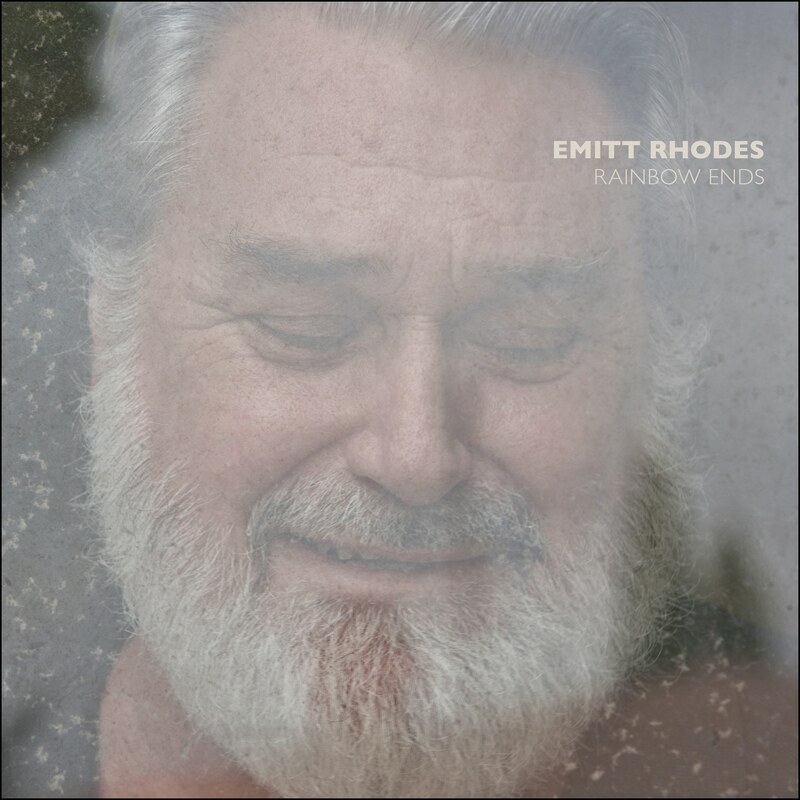 Those scratching their heads and wondering “who IS this guy?” can take a crash course by spinning the Emitt Rhodes Recordings (1969-1973), a double set collecting his previous work. Once you’re up to speed on those magnificent, Beatles influenced pop songs — most performed by creatively overdubbing himself in his home studio (similar to McCartney’s debut), when that was far more difficult and time consuming than it is today — you will also be mystified as to why Rhodes has taken so long to follow them up. Regardless, he’s back and if these results reflecting about two years of work in Rhodes’ home studio with producer Chris Price don’t quite capture the vibrancy of his earlier work, they are close enough not to disappoint those who stuck around waiting for them. As titles such as “What’s a Man to Do,” “I Can’t Tell My Heart” “It’s All Behind Us Now” and “The Wall Between Us” imply, Rhodes spends the majority of his lyrics exploring relationships, many of which are going through tough times and/or result in unhappy endings. Some, as when he sings “the door is closing/ I’m out of time,” ostensibly refer to losing a love, but can also be interpreted as a reflection on his mortality. Just as back in the early ’70s, these words are surrounded with easy flowing melodies seemingly plucked from thin air. The joy of Rhodes’ work remains his ability to create pop that’s complex yet sounds simple, graceful and effortless. And while there may be a few too many similarly paced ballads to close out the disc’s final third, taken individually, each of these selections adds another minor gem to his dusty catalog. The occasional appearance of horns and strings is also a new twist, but they are used sparingly and with immaculate taste to create tension and release on the reflective closing title track and a handful of others. Tunes like the mid-tempo shuffle of the jazz/bluesy walking bass propelled “If I Knew Then” are just a notch below Rhodes’ earlier work and may yet become as well-regarded as those songs. Support by members of Jellyfish, the Bangles and others is effectively laid back even it lacks some of the spark and energy his fans might expect. Still, this is a major return for a reclusive musician whose talents seem to have remained almost as “fresh as a daisy,” as the title of an old Rhodes song proclaims. It’s an unexpected thrill to have him back.